The jobs a manager does depends very much on the band and where they are in their careers. Oversee other people working for the band, like accountants, agents, and merchandisers. 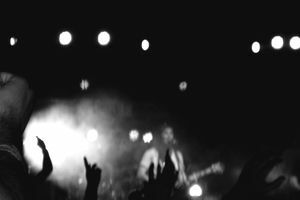 For an unsigned artist, the manager should be the mouthpiece of the band, and their greatest ally, making sure that everyone else involved in the band's career is doing their job and working hard to promote the band's success. For instance, the manager should be on the phone with the label, asking about advertising campaigns and then on the phone with the agent asking about upcoming show opportunities. Even if you're managing an unsigned band made up of personal friends, and there is no money involved, for now, you need to write up an agreement. It doesn't have to be fancy or even supervised by a lawyer. Just jot down what is expected of both manager and band, what the percentage of income for the manager will be if any money should come in, and what happens if band and manager decide to part ways. Many new bands don't want to make their friends sign contracts. Put that out of your mind. When you're entering into a business relationship with a friend, a contract keeps the friendship safe. If you think management might be a good fit for you, take a look around you. Do you know any musicians who could use someone to help organize shows or manage their websites? Volunteer to help bands you know, even if it means working for free while you're learning the ropes. You could also approach a management company and see if they have any internship opportunities available. Like most music careers, if you keep your head down and work hard, the right people will eventually notice. Managers are generally paid a percentage of the band's income: often 15% to 20%. In addition to their percentage, managers should not have to cover any expenses out of their pocket. There are some things a manager should NOT get a cutoff — these include songwriting royalties - in my opinion. You should be aware that there are many different kinds of management deals out there, and the changing face of the music industry has meant a change in management deals. Essentially, the way musicians make their money is in flux, and since the income of the musicians is directly tied to the income of the managers, managers need to make sure they can tap into the new sources of money. Any deal between musicians and managers should be negotiated up front and revisited when significant events occur that could drastically increase or decrease the band's income.